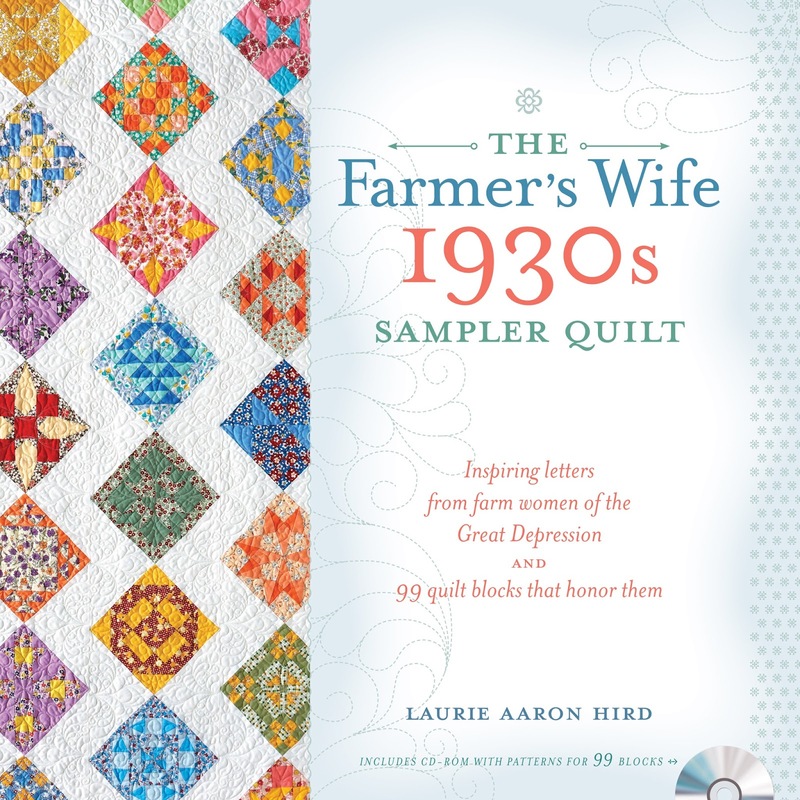 Welcome to Daydreams of Quilts! 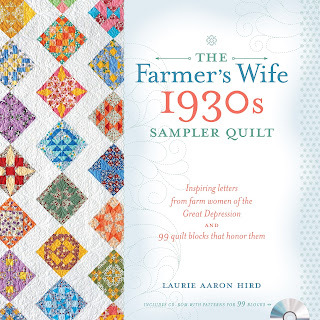 Today I am pleased to bring you a quick little tutorial for sewing block 39 of the Farmer's Wife 1930's Sampler Quilt in the Quilt Along hosted by Gnome Angel and Fat Quarter Shop. I am (so far) building all my blocks the same way by using the paper templates that come on the CD in the book. I printed all my template sheets out ahead of time so they would be ready to go whenever the mood to sew struck or, more often in my case, the time became available to sew. When printing your sheets make sure your printer settings are set for 100% (no scaling, do not fit to page) and check the 1" line on your print out to make sure it measures one inch. Block 39: Grandma - I must have Christmas on my mind. This Grandma block has 36 pieces. To speed up the cutting process I layered my fabric into four layers. I laid my paper template on top keeping the right angle of the triangles with one side on the grain line. This way I can cut four triangles at once. I cut two sets of four and then opened my fabric to be two layers for the remaining two triangles needed of the "B" triangle. 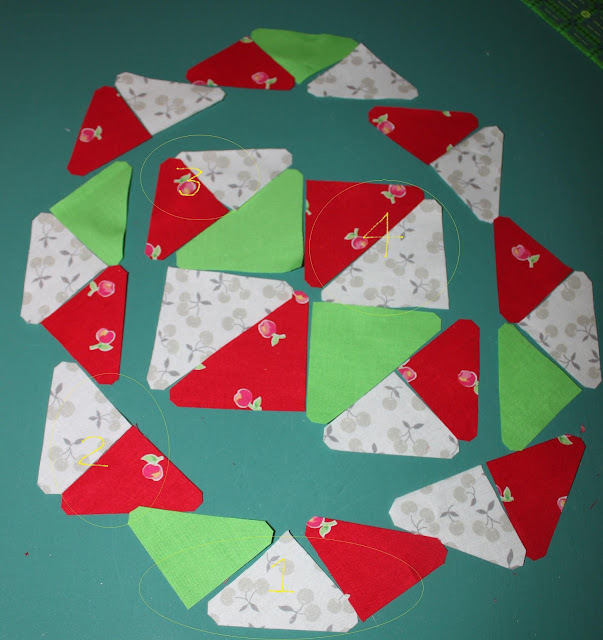 Then, while I still had just two layers of fabric I cut the two triangles needed of the "A" triangle. I make sure to cut off all the little notches on the corners exactly as the template is printed as this helps in lining up the pieces when sewing together the block. I repeated the process for each of the three colours in the block. Please check out Lisa's tutorial and Gnome Angel's Tutorial for their take on putting this block together.